I have my team meeting tonight and this is my swap! 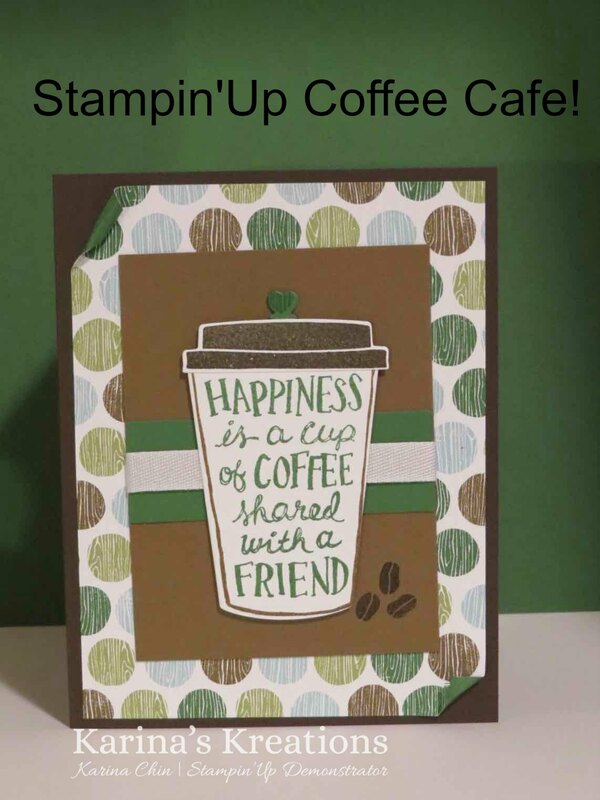 I'm using my new favorite stamp set Coffee Cafe! I love coffee so when this stamp set came out I knew it would be a favorite!! The stamp set and framelits come in a bundle which saves you 10% #145331. To make this card you will also need Coffee Break Designer Series Paper #144156, and Whisper White 3/8" Classic Weave Ribbon#144159. To place an online order, click this link.